The Artistica Home 2083-880-42-01 Emmanuelle Side Chair is available in Hickory Park's, North Carolina Furniture Galleries. Hickory Park may be restricted from showing prices, however please select the Click For Quote button and Hickory Park Sales and Design Staff will reply or please call (828) 322-4440 for more information. 24W x 28.25D x 44H in. Solid mahogany frame in the Marrone finish, a rich brown tone with hand wire brushing. 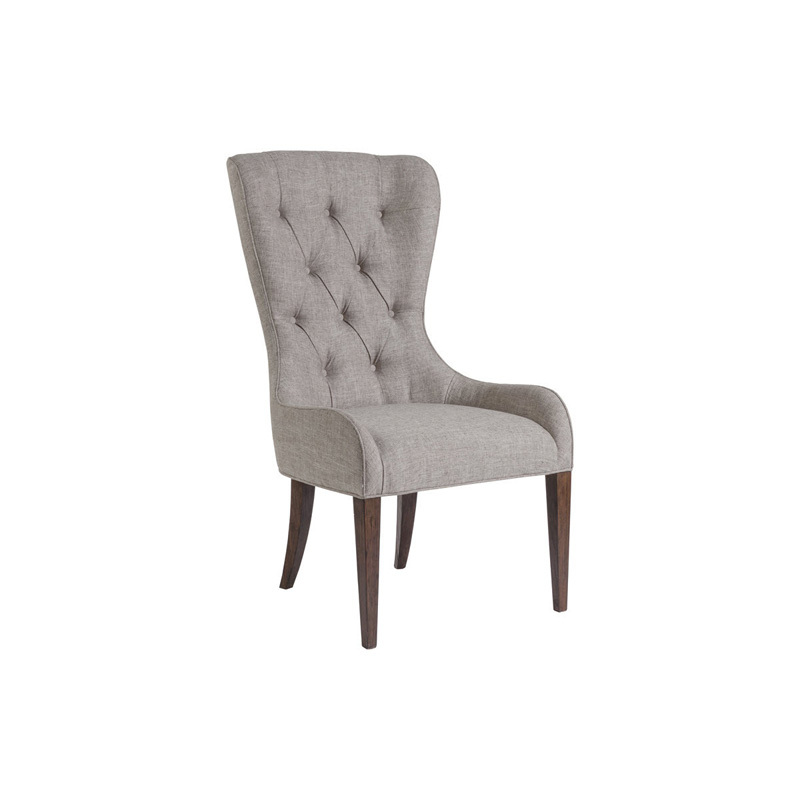 The fully upholstered, button tufted chair has slightly curved side panels and is available only as shown in a linen weave fabric with a soft hand in a natural flax coloration, fabric 419471. Click here to receive price quote for Side Chair 2083-880-42-01 item.